A small Kerrisdale strip mall slated for redevelopment. The proposal would reduce eight shops to three while adding condominuims. A group of west side residents say their battle to save their community is a microcosm for the city's problems. The group wants more density in their MacKenzie Heights neighbourhood, which is suffering heavily from empty home syndrome. Large, new houses have popped up all around them, and many sit empty. Now, they believe a new rezoning and redevelopment is threatening the mom-and-pop shops in a block at West 33rd and MacKenzie – one of the few commercial strips on the West Side. "This rezoning will not add useful population density to our city. It will not support the sustainability of our community. It will, on the other hand, reap profits for what we believe is just another non-resident investment scheme that will destroy the fabric of an historic and vibrant community." A rendering for the proposed development at West 33rd Avenue and MacKenzie Street. The owner of the shopping strip land is a numbered company – 1032682 B.C. Inc. – and is described by their architect and spokesman, Ian Egloff of Creekside Architects, as being from China and active in small projects. After submitting design schemes to the city in spring 2016, city staff told the developers to consult with the residents. But now they are at loggerheads over the design and the rezoning. The resident's group argues that rezonings such as this lead to "dead zones," with empty housing units bought by speculators, and commercial spaces left empty because the rents are too high. 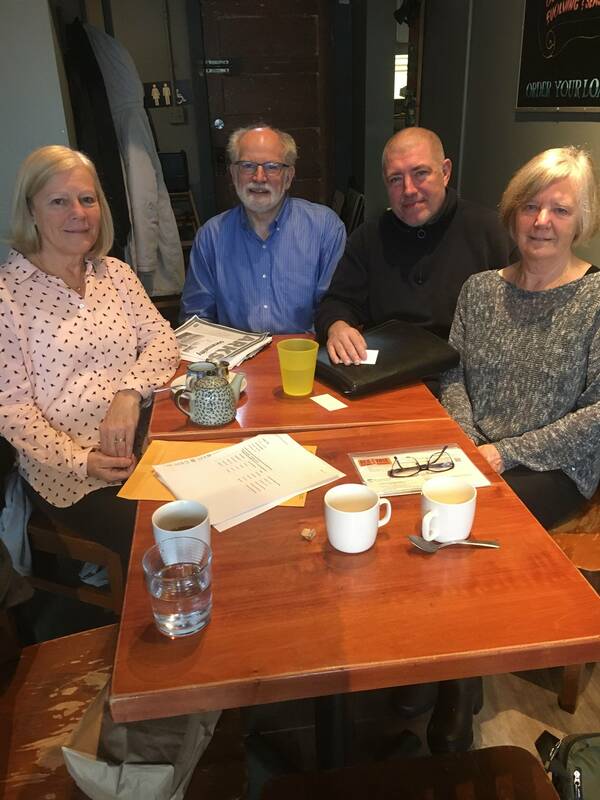 "We don't want to see vacancies – that's a key issue for a community hub," says association member Raymond Schachter. Mr. Egloff says he will submit a rezoning application in the next few months, and he will continue talks with the group. The battle isn't about building height or density – in fact, the group is eager for density because their neighbourhood is emptying out. They cling to the vibrancy of this little strip of shops, and they want more people on the streets. Deborah Henderson, who lived next door to an empty house, wants the developer to build smaller units of housing that would be more affordable than luxury town homes. "We would like density in our neighbourhood," says Ms. Henderson, who has lived in MacKenzie Heights for 24 years. "We would like our children to be able to live here, which they can't. One of my kids is in South Surrey/White Rock, and one is in Toronto." Elaine Stevens has lived in the area for 37 years and says government needs to do something to stop the treatment of housing as a speculative commodity. "My daughter grew up here and can't afford to live here. She's in the yuppie ghetto east of Main Street – which is great. But where are her children going to go?" The battle isn't about heritage, either. Physically, the row of stores, built in 1939, isn't anything special. But they represent community. The fact that Chinatown won a battle against a big new project at 105 Keefer that would have threatened the fabric of its community gives them a little hope that the city might hear their concerns. Because it would require a rezoning, the decision would have to go before council. "The city has the ultimate say in what will happen to this property," says Mr. Schachter. MacKenzie Heights commercial district employs around 80 people. It is a great example of a walkable, functioning retail zone. The shops are off the big arterials, so the rents are decent, according to one shop owner. 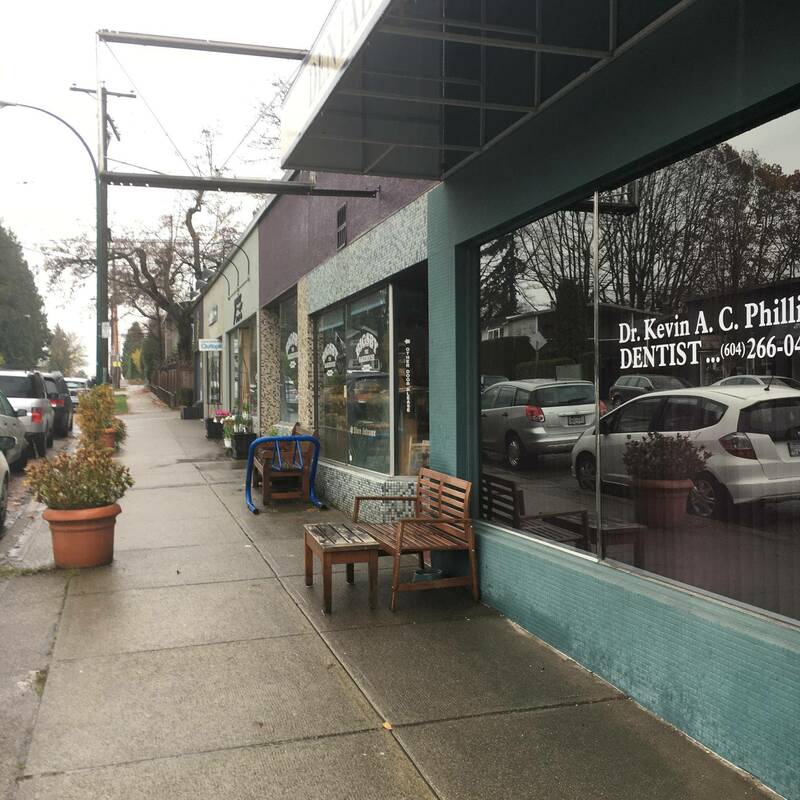 There's a dentist's office, a barber, a florist, and an insurance agency, among the eight shops and offices on the block up for redevelopment. A large independent grocery store anchors the block across the street. The group worries that that block will be next. The gas station across the street was redeveloped into expensive townhouses with a single commercial space. As a result, it's a quiet corner. Owners Earl Morris and sister Ellen Morris have operated Bigsby the Bakehouse for the last five years, and it's become the neighbourhood gathering spot. The draw is freshly baked bread and a neighbourly vibe, which was on full display the day I visited with some association members this past week. Mr. Morris's wife and niece also work at the store. He says he's been running restaurants on the west side for 33 years. He rents his store space as well as his home. The cost of relocating to another store would be between $80,000 to $100,000, and a huge financial strain, he says. He can't afford to retire, and so he is stressed. "I would go heavily into debt because of the tenant improvements I'd require. If redevelopment happens and they offered me the space again, I can't afford to be out of work for the two years it would take to build. So whatever they have to offer me, unless it's a paycheque for two years, it's just not feasible." He says he'd also be looking at a rent increase of 60- to 80-per cent in the new building, and a tax increase. Mr. Egloff says that displacement of shops such as Bigsby's is "the nature of redevelopment," because of the high costs involved. Development could be around $20 million after the four years or so it takes to completion. The other risk is that in four years time the market could go soft, and the project could be kiboshed. The company directors of 1032682 B.C. Inc. are Can Bin Wu and Qing Guang Xiao, according to title search data. Mr. Egloff says that they are very willing to work to please the community. He says they didn't have to spend another year on community engagement – that it was their choice. The parcel of land had been owned by one company for decades, but in the last couple of years has become a hotbed of speculation. It was sold to a numbered company for $5.430-million in January 2015, and was flipped four months later, to 1032682 B.C. Inc., for $6,403,600 – a gain of almost $1 million, according to B.C. Assessments records. Ms. Henderson says they were concerned when they heard from the architect that the residential units would likely be marketed to offshore buyers, which would increase the likelihood that they'd sit empty, and create a "dead zone." Mr. Egloff is candid that the units would likely be sold to offshore buyers, but he said that's the nature of Vancouver's housing market. We need foreign money to create infrastructure, he says. He says he was frank when the group asked him. "Someone said to me: 'Would these be marketed offshore?' I said: 'That's a possibility.' And to be honest, that's quite likely. There isn't a developer who's going to find a more lucrative market for their product. "The way I see it is," Mr. Egloff says, "we are taking foreign investment into our community. That community group didn't act on building this themselves. No local developer went out of their way to purchase that property and meet ARKS vision. We are getting foreign investment, money from outside of the country that is going to provide this amenity for us, and obviously, take the profit overseas. "We are basically not a self-sustaining society. There is no other way to provide amenities we need…currently land and development is one of Canada's biggest exports." The parcel of land includes three lots: two commercial and a house on West 33rd Avenue. The proposal so far is for a three-level building with eight luxury units, 25 underground parking stalls and commercial space at ground level. It's a standard zoning type we see all around Vancouver, a mixed-use project that often attracts retail chain stores. Mr. Egloff says they increased the commercial space by 2,000 sq. ft. in order to appease the community group, even though residential is far more profitable. And they are willing to reconsider the number of housing units, he says. "I think the community association is doing a disservice by focusing on an economic and political agenda – whereas they could be giving salient comments on height and size setbacks. They are focusing on a political issue just to stop the project, as opposed to making the project better. The proposal calls for a three-level building with eight luxury units and commercial space at ground level. "I work very hard to make things better. But I am limited in what I can do," Mr. Egloff says. "It's a global market issue more than a local issue. I would love to live in Point Grey, where I grew up. I certainly don't like the situation, but I don't see anything that will change it in stopping this project. And the community group hasn't come up with any viable options that would affect that kind of social change." Lawrence Kennedy, who owns an insurance agency on the street, says he has made an attempt to purchase the building in the past, but his calls weren't returned. As well, he has tried to negotiate for space in the new building. Because his improvement costs are low, he could afford to move to a temporary location and return. "The one thing that irritates me the most is the fact that you would think I'm a prime candidate they would be reaching out to, and really there's been zero communication," he says. "You'd think I'd be one of the people they would dog ear to come back, but no." The group understands that there are few legal mechanisms available to protect the shop owner tenants, or to create affordable housing in their expensive neighbourhood. Ultimately, it's a matter of political will on the part of the city, and whether it values community above development dollars. Says Ms. Stevens: "We're going to wake up and discover that nobody lives here."